A sharper and more focused national strategy for growth and poverty reduction for the coming five years – that is the aim of an ongoing rigorous review of Tanzania´s first National Strategy for Growth and Reduction of Poverty (NSGRP). EfD researcher John Ked Mduma is a technical advisor to the review process under the Minister of Finance and Economic Affairs, and EfD Coordinator Dr. Razack Lokina provides research studies, commissioned by the Government, to fill certain information gaps. The National Strategy for Growth and Reduction of Poverty, NSGRP, is better known in Tanzania by its Kiswahili acronym MKUKUTA, Mkakati wa Kukuza Uchumi na Kupunguza Umaskini Tanzania. It was approved in February 2005 for implementation over five years (and is the successor to the Poverty Reduction Strategy Paper). The purpose of the review is to prepare a base for the development of the second NSGRP, which will be implemented 2010/11-2014/15 (fiscal years). 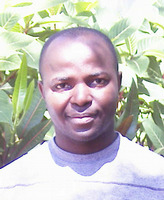 Mduma, researcher at Environment for Development initiative (EfD) in Tanzania, was appointed technical advisor for the review in April 2009 and has been participating in the NSGRP monitoring process since 2007. One of the review components is studies. The NSGRP review process has benefited from a number of independent studies conducted by development partners and civil society organizations, and from studies commissioned by the Government. Among the latter are two studies led by Dr. Lokina, researcher and coordinator of EfD in Tanzania: 1) Mainstreaming Environment into MKUKUTA Process, and 2) Poverty – Environment Policy Analysis. The two studies for example suggest that there is a need to call for a strengthening of the monitoring framework for the environment and natural resources, particularly focusing on quantifying existing resources in order to facilitate better-informed management and utilisation. The studies also underscore the urgent need to address population growth. “The engagement of EfD members in the review process is one way of making EfD Tanzania part of national policy processes. We are thankful to the Government of Tanzania for recognizing and using its national capacities, capacities that exist in its national institutions. And I am particularly proud of the opportunity I got to link academics and policy,” says Mduma. The ultimate task for the NSGRP secretariat is to produce a sharper and more focused strategy that will unlock growth potentials and achieve significant improvement in welfare.